As our dancers prep for their National Dance Competitions, which are coming up this summer, I thought it might be time to revisit our packing list. 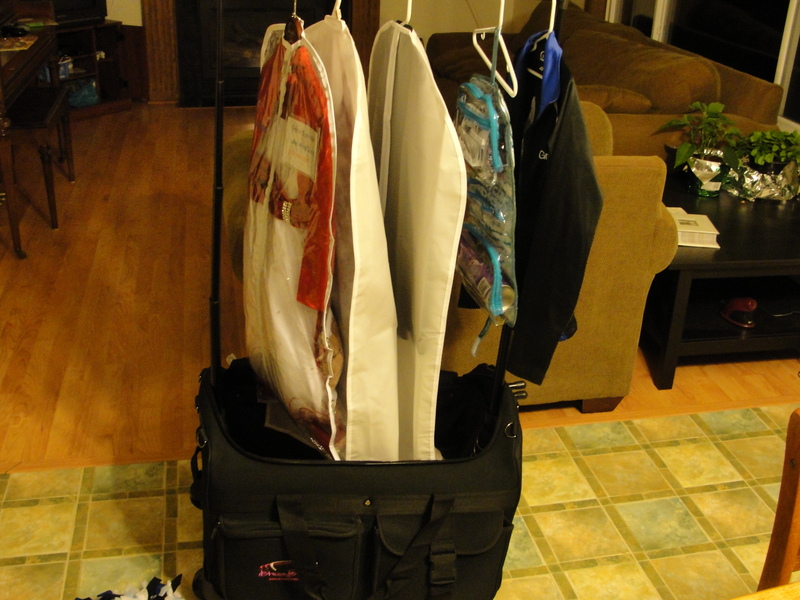 Packing for a dance competition is a little like packing for vacation. There are many things you need to bring, and you need to be prepared for anything. Each year, this list gets tweaked a little as I (or other dance moms in my daughter’s group) forget something that could have been useful. Luckily, most dance moms are willing to share and help each other out. Recently, we had a girl who forgot her hair stuff at home. Her mom was running back home (about 45 minutes away) to get it, but the rest of the dancers were ready to start warming up. I happened to have an extra Hot Buns in the Dream Duffel, so I quickly threw her hair up for her so she could practice with the rest of the group. It was a team effort, as Miss Maria helped make sure it was just right. I was thankful for an easy hair-do this year (a high bun). It feels good to be able to help out, and why not. If tables were turned, wouldn’t you want someone to do the same for your dancer? Flip flops they made at their dance sleep over (for wearing between dances, and after she’s done dancing). *Note: We found that with tights, the flip flops don’t always work well. Grace has switched to a pair of flats to slip on for in between dances if she has long breaks. What’s important, is that your dancer has some shoes other than dance shoes. Clear beverages (Grace’s top choices include the “white” Gatorade and Lemonade flavored Vitamin Water). Snacks -string cheese is a clear winner, though, we also usually have other non-greasy, non-staining snacks such as pretzel chips as well. Baby wipes for after lunch and/or snack clean up. Plastic bags for garbage. Please remember to clean up after yourselves before you leave the dressing room areas for the day. I will continue to update this list as I come up with other ideas. I’d love to hear your must have items in your packing list. Feel free to post a comment!